TICKETS GO ON SALE FRIDAY, SEPTEMBER 16 AT 10AM! September 9, 2011 – Rock Theater originators, Trans-Siberian Orchestra are preparing to light up the road for an eight-month world tour, traveling to over 120 markets in the US and Europe, including a stop at Bryce Jordan Center on Friday, November 18th. The tour will showcase their unique combination of story-telling, virtuoso musicianship and over the top production. Beginning November 11th, TSO will rock your winter season, performing the timeless classic “Christmas Eve and Other Stories” in its entirety, followed by excerpts from the upcoming Rock Theater installment “Gutter Ballet and The New York Blues Express”. Then in February, TSO will unleash their Spring Tour with Beethoven’s Last Night, bringing the music and the story of the famed composer’s battle for his eternal soul to markets new and old. Tickets go on sale Friday, September 16 at 10am and can be purchased at the Bryce Jordan Center, Altoona Campus Box Office, Livenation.com, bjc.psu.edu, or by-phone at 814-865-5555. Tickets for this event are: $33, $39.50, $49.50 & $59.50. As one of the top selling acts in the world, Trans-Siberian Orchestra has cemented itself as an annual tradition not to be missed. The band has grown to become a year round touring juggernaut, performing what creator/writer/producer Paul O’Neill has dubbed “Rock Theater.” Charting its success and the creation of this genre – which is part theatrical show, part rock spectacle – the new PBS Special, “The Birth of Rock Theater”, focuses on O’Neill’s vision for TSO and how he went about creating this art form. Featuring live performances from “Beethoven’s Last Night”, TSO’s gold-certified rock opera fantasy, as well as music from their most recent album “Night Castle”, which debuted at No. 5 on the Billboard Charts, “The Birth of Rock Theater” is a must see for any TSO fan. TSO’s 2011 Winter Tour will encompass 118 performances in nearly 80 cities in North America. TSO’s Winter Tour played to over 8 million fans in 80+ cities, generating revenues of nearly $330 million. Since its first tour in 1999, TSO has been one of the concert business’s most successful acts, consistently rating in the Top 10 for both gross revenues and audience attendance. With sales in excess of 8 million – Trans-Siberian Orchestra is among the most popular groups of the modern era. The Orchestra debuted in 1996 with the timeless “CHRISTMAS EVE AND OTHER STORIES”. Highlighted by the remarkable hit single, “Christmas Eve/Sarajevo 12/24”, the album has since achieved 2x platinum certification from the RIAA, with sales now rapidly approaching 3 million. 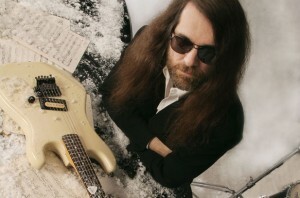 Two further albums completed O’Neill’s planned Christmas Trilogy; 1998’s “THE CHRISTMAS ATTIC” and 2004’s “THE LOST CHRISTMAS EVE”, both of which are currently approaching 2x platinum certification. All three of the Orchestra’s Christmas-themed albums have proven enduring blockbusters, returning annually to the top 10 on Billboard’s “Top Catalog Albums” and “Top Holiday Albums” charts.